7. All Alternate Accounts (with profile links):i had one but forgot the password. 8. List all past clans and reasons for leaving them:YrN, left because i took a break of one year. 10b. How will YRN benefit you? provide me with a place to live, how was that? 11. List some good/bad experiences in your most recent clan: i've had mostly good experiences in YrN, bad ones where when Bidam tried to take it down and spammed the chat for a couple of days. 11b. List some experiences you wish to have in YRN: some tournaments maybe, maybe we could take allpart in PL. 13. 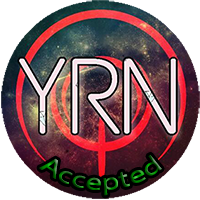 In your opinion what makes YRN different and/or better from other clans?i think YrN doesnt experience clan drama at all not like other clans out there. 15b. How active will you be on Discord, YRN forums, and PB2? ill be active couple of hours per day. 16. What are your skills within PB2?i think i know every trick beside flying technique, that thing is imposible for me. 18. What do you value more and why: Skill or Attitude? im neutral on this one, it depends. you can be mlg pro and be toxic benefit in, for example, winning matches and stuff but u better have a good sportmanlike behaviour and maybe better players would give u some tips to improve. Can you elaborate on Q.9? 9. Why are you applying for YRN? even tho this was my only clan, i dont think ill find my place in other clans beside this one. and its also great to stay along other skilled players. your app isn't wow but you've said the main things so i can deal with that. Furthermore you said that YrN doesn't experience clan drama, what if one day there is a big drama, how would you react to that? also are there any other reasons how YrN can benefit you? No questions for now....good luck! @Irina wrote: your app isn't wow but you've said the main things so i can deal with that. Furthermore you said that YrN doesn't experience clan drama, what if one day there is a big drama, how would you react to that? also are there any other reasons how YrN can benefit you? id probably try to sort things out like anyone here would do cuz clan drama is not something any of us is looking to see or experience. How can YRN benefit you? Yrn gave and still gives me a place where i can meet great players of the community, opportunity to take part into clanwars, to make new friends and simply to have fun.